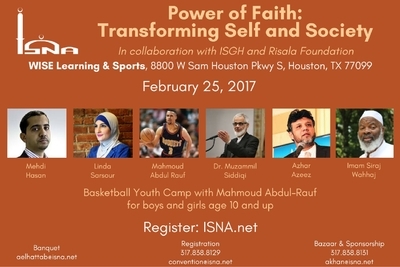 The Islamic Society of North America (ISNA) recently announced their latest conference, to take place on February 25th, 2017. 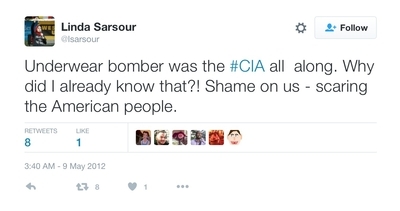 As usual, many of the headlined speakers have histories of Islamist extremism. Mehdi Hasan, a prominent British journalist and political editor of several news programs, has been caught on video saying that non-Muslims "live their lives as animals, bending any rule to fulfill any desire." Muzammil Siddiqi, a part president of ISNA and chair of the North American Islamic Trust (NAIT), has a long history of extremist activity. His mosque hosted a visit in 1992 by the "Blind Sheikh," Omar Abdel Rahman, a leader of the terrorist group that assassinated Anwar Sadat in 1981 and committed the first World Trade Center bombing in 1993. The Blind Sheikh gave a speech in Arabic declaring that jihad was necessarily violent and that nonviolent definitions of the term were weak and cowardly; Siddiqi had the speech translated into English and publicized. Siddiqi himself said in a videotaped lecture around the same time that "jihad is the path, jihad is the way to gain honor." Siraj Wahhaj is a former member of the Nation of Islam, and is most notorious for being an unindicted coconspirator in the 1993 World Trade Center bombing (largely on the strength of his long association with the Blind Sheikh, and the fact that several of Wahhaj's congregants were convicted of assisting Abdel Rahman with the attack). Wahhaj's extremism has continued since then, with repeated statements in support of extremist group Hizb ut-Tahrir and other radical groups.